Phos zoe cross. Via Gallery Byzantium. Last Sunday, September 14, was the feast of the Exaltation of the Holy Cross. Since then, I have considered the many kinds of crosses there are. I mean literal crosses, those you wear around your neck or affix to your wall. The early Christians, the original friends of Jesus, so sympathized with Jesus’ pain and had been so traumatized by it that they could not bring themselves to depict the stark reality of his suffering, except in words–that is, in the accounts of the four gospels, which are as clipped and precise as the four authors knew how to make them. Only in the fifth century, nearly a century after the Roman state had discontinued the practice of crucifixion and no one living had witnessed such a procedure, did Christians forget the shame and horror of the event sufficiently to begin to make pictures of it. Of course, crosses also include those body-bearing crucifixes that are so familiar to us Catholics. But they need not be dead bodies. On some crosses, Jesus is not hanging in execution, but risen in glory. I think of another crucifix variant that I picked up about ten years ago. I was a janitor at my church. We were throwing out boxes of random, unclaimed religious bric-a-brac. I found a tacky plastic cross that showed Jesus fully vested as a Roman Catholic priest. He wore a white alb and red chasuble and red stole. I understood the iconographic reference to the Letter to the Hebrews. There, Christ is the great high priest who has passed through the heavens. But this cross also exhibited a kind of ultimate clericalism. Blood, salvation, power, and your local Father Whozit were all rolled up into one. I kept it as a curiosity item. However, I never did hang it anywhere. Crucifixes with the classic dead Jesus can seem morbid and oppressive. But some such crucifixes, even very graphic ones, can be subversive and liberating. 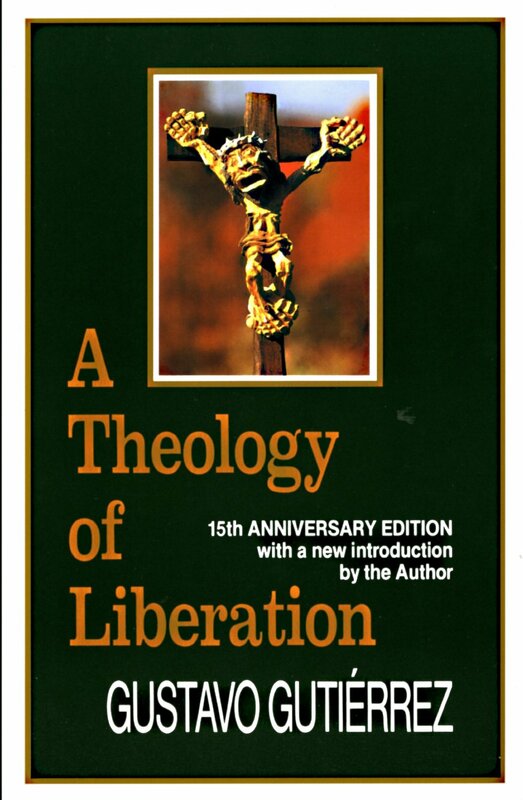 See the classic cover of Gustavo Gutierrez’s A Theology of Liberation, with its photo of a cross by Peruvian sculptor Edilberto Merida. The corpus suggests an indigenous Jesus who suffers in solidarity with the local people. This Jesus does not rule in cahoots with their colonizers and overlords. Nor with yours. Crosses can be elongated Latin crosses, which look more like the historic execution devices and lend themselves to that imagery. Or they can be square Greek crosses, which draw from their own artistic and symbolic universe. 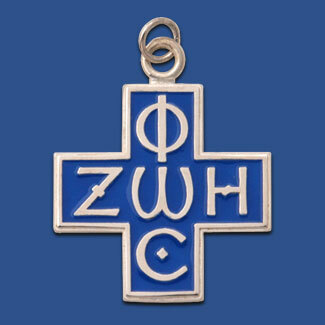 At Mass last Sunday, I wore a traditional Byzantine phos zoe cross, inset with the Greek words for light (phos) and life (zoe). We are, for better and worse, the people of the cross–and the people of crosses. These crosses can be something we inflict on ourselves and others. They can also be a way to free ourselves and others. We must be conscious of it. We must choose, in both our theology and our art. And we cannot let others, even in our own church, choose for us. This entry was posted in Spirituality and tagged Catholic art, Catholic Church, Catholic imagination, Christian art, Christianity, Cross, Crucifix, crucifixion, Jesus, Phos zoe cross by Justin Sengstock. Bookmark the permalink.